When my brother first told me he was thinking of moving to he Coachella Valley, Martine and I both thought it wasn’t a good idea. Martine had lived for a couple of years in Twenty Nine Palms, where she worked at the Naval Hospital at the Marine Combat Center there. She hated the desert. As for me, I do not like living in a hot climate. Of course, if anyone could make it work, it’s Dan. After all, his previous home in Paso Robles was almost as hot as Palm Desert. When he wanted to call down, he and Lori would drive to the beach along the Central Coast, which was frequently 20-30 degrees Fahrenheit cooler. Living in Palm Desert, he is surrounded by mountains. He is already working on a log home at Idyllwild in the foothills, where the elevation of 5,413 feet (1,650 meters) affords some protection from the summer blast on the floor of the Coachella Valley. I love visiting the desert, especially in the cooler months. 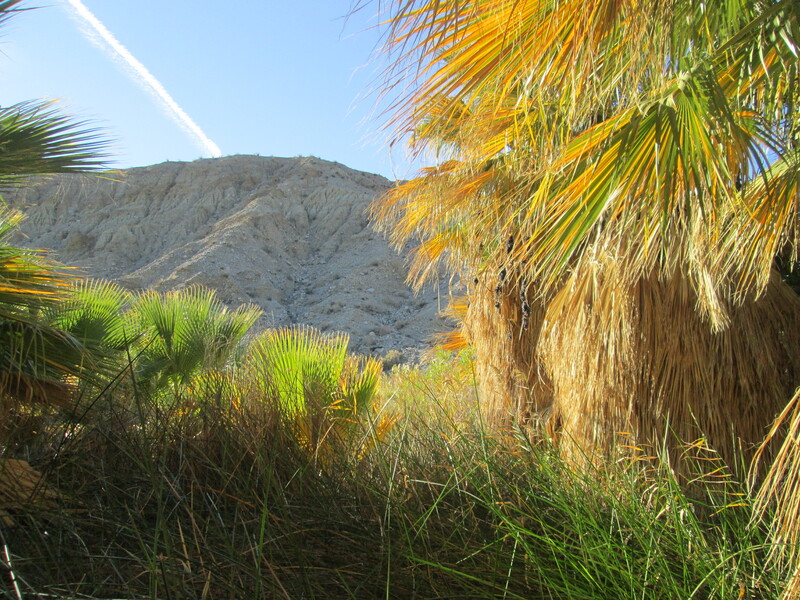 Dan is not far from Joshua Tree National Park and Anza-Borrego State Park, which are two favorite destinations of mine.